Sideloading is the mechanism to install Windows Store apps without downloading from the Windows Store. This would occur if we want to distribute line of business (LOB) apps or for testing purposes. Using this wizard, we can generate our app packages, and upload them to the Windows Store in an easy way. But sometimes we face more complex scenarios beyond the scope of Visual Studio. Sometimes we don't want to publish our app but need a way to distribute it in our organization. Generating app packages within a Continuous Integration flow. 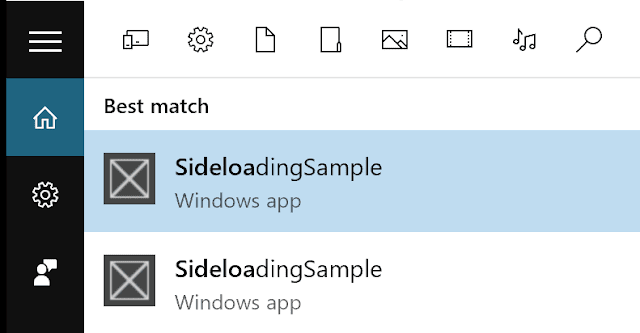 Automating a Sideloading scenario to distribute the app outside the Windows Store. This article will explain the mechanisms that will allow us to cover these three scenarios. If we talk about compiling .Net apps from the command line, we should talk about MSBuild. For the examples in this article we will assume that we have added the path to MSBuild to the PATH environment variable. To show the different scenarios, we will use a project created from the Grid App template in Visual Studio 2015. The only change made to this project has been to set the package name CodiceSoftware.SideloadingSample in the Package.appxmanifest file. Download source code from our SCM (done). Compile the project and generate the app package (Appx). Put the app package in a shared folder that will be accessible to other team members (QA as an example). 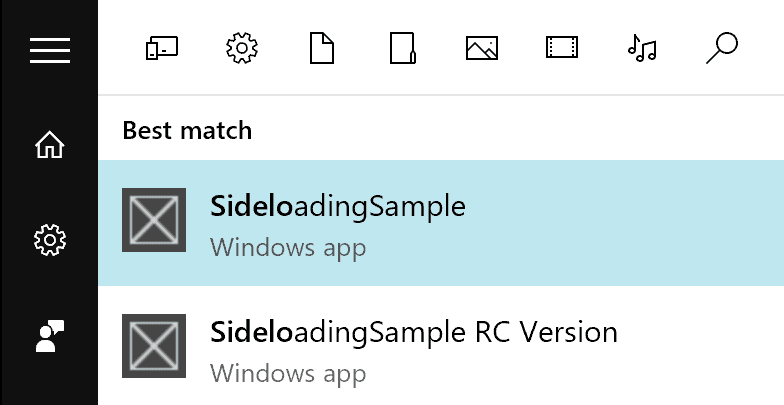 If we run the msbuild command in the same folder where our solution is located, it will automatically compile and create the package in the AppPackages folder. Inside the AppPackages folder we will find one file with the extension .appxupload and one folder with name SideloadingSample_1.0.0.0_AnyCPU_Debug_Test. The scenario we have seen so far is intended for a testing environment. In this case, we could install the application package executing the script Add-AppDevPackage.ps1. But as Microsoft advises, this mechanism is temporary and is only meant to be used for testing purposes. In this case, we will describe the mechanism using Vanilla PowerShell and it is important to remember that we should not use the testing script Add-AppDevPackage.ps1. Here are some techniques that will make it easier to do this task. C:\SideloadingSample> msbuild /p:Configuration="Release" /p:AppxPackageTestDir="C:\AppxSample\" /p:AppxPackageName="SideloadingSample-Latest"
This way, the app package file will always be SideloadingSample-Latest.appx. This parameter affects only the file name. The other package information is still obtained from the manifest file. To install different versions of the same application, we must go a step further by editing the file Package.appxmanifest. To do this we must change the Name attribute in the Identity node. Of course, we could improve this mechanism event by changing app icons, description, etc. Set-AppxManifestName $manifestFile "CodiceSoftware.SideloadingSampleRC" "SideloadingSample RC Version"
msbuild /t:Rebuild /p:Configuration="Release" /p:AppxPackageTestDir="C:\AppxSample\" /p:AppxPackageName="SideloadingSample"
Note: This script has been simplified to illustrate examples and contains no error control mechanisms, validations, etc. Conclusions Integrating Store Apps in a complex deployment or testing flows is relatively simple once you know what to do. Unfortunately, this kind of flows occurs so infrequently that Microsoft does not pay much attention to it and the documentation about it is quite brief. We hope we have clarified the ambiguity about this feature in this article.